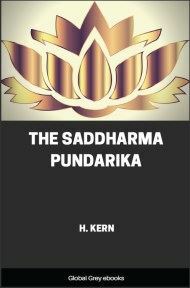 The Udana is a Buddhist scripture, part of the Pali Canon of Theravada Buddhism. 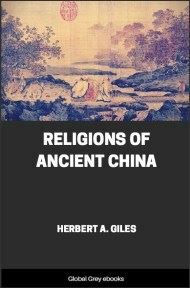 The title might be translated as "inspired utterances". 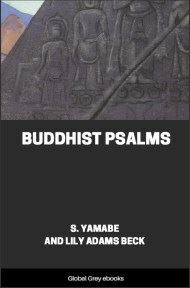 The book comprises 80 such utterances, most in verse, each preceded by a narrative giving the context in which the Buddha utters it. 1. Thus have I heard. On a certain occasion the Exalted One, soon after the attainment of Buddhahood, dwelt at Uruvela, on the banks of the stream Neranjara, at the foot of the tree of Enlightenment. At that time the Exalted One, after remaining in a sitting posture for seven days, experienced the joy of Emancipation. 2. Thus have I heard. On a certain occasion the Exalted One, soon after the attainment of Buddhahood, dwelt at Uruvela on the banks of the stream Neranjara, at the foot of the tree of Enlightenment. At that time the Exalted One, after remaining in a sitting posture for seven days, experienced the joy of Emancipation. By the destruction of Ignorance, Conformations are destroyed, by the destruction of Conformations, Consciousness is destroyed, by the destruction of Consciousness, Mind and Material Form are destroyed, by the destruction of Mind and Material Form, the six Organs of Sense are destroyed, by the destruction of the six Organs of Sense, Contact is destroyed, by the destruction of Contact, Sensations are destroyed, by the destruction of Sensations, Desire is destroyed, by the destruction of Desire, Attachment is destroyed, by the destruction of Attachment, Being is destroyed, by the destruction of Being, Birth is destroyed, and by the destruction of Birth, Decay, Death, Sorrow, Lamentation, Pain, Grief and Despair are destroyed. Thus the whole mass of suffering is brought to an end. 3. Thus have I heard. On a certain occasion the Exalted One, soon after the attainment of Buddhahood, dwelt at Uruvela on the banks of the stream Neranjara, at the foot of the tree of Enlightenment. At that time the Exalted One, after remaining in a sitting posture for seven days, experienced the bliss of Emancipation. He stands, scattering the hosts of the Tempter, as the Sun, diffusing its rays through space." 4. Thus have I heard. On a certain occasion the Exalted One, soon after the attainment of Buddhahood, dwelt at Uruvela on the banks of the Neranjara stream, at the foot of the 'Goat-herd's' Banyan tree. At that time, the Exalted One, after remaining in a sitting posture for seven days, experienced the bliss of Emancipation. And the Exalted One at the end of the seventh day arose from the state of trance. Now a certain Brahmana of haughty disposition went to where the Blessed One was and drawing near he saluted the Blessed One and after exchanging with him the compliments of friendship and civility, he stationed himself respectfully on one side and while thus standmg he said to the Blessed One; "What, Lord Gotama, is the standard of excellence for a Brahmana, and what is the nature of the works he should perform?